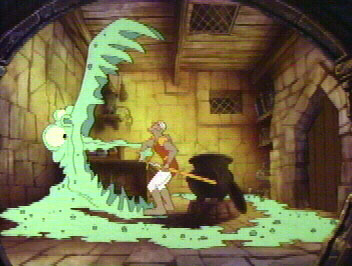 Dragon's Lair was released in June of 1983, but was a full 6 years in the making. 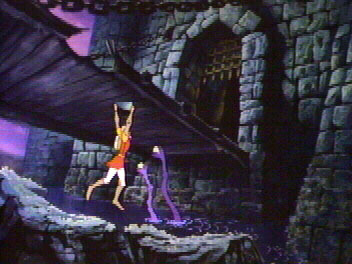 It was created by Rick Dyer of Advanced Microcomputer Systems (AMS), Don Bluth of Bluth Studios, and Cinematronics. 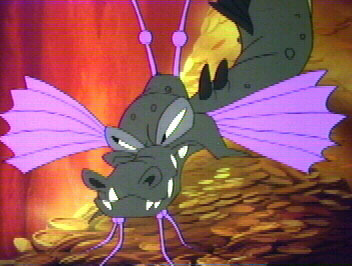 For Dragon's Lair, Bluth Studios produced 22 minutes of full animation at a cost of 1.3 million dollars. To keep the cost as low as possible, they decided not to hire professional voice actors. Instead they all pitched in and did the voices themselves. 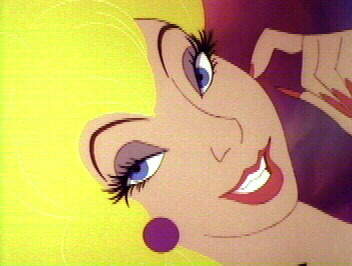 Sound engineer Dan Molina was the voice of Dirk the Daring, and Vera Lanpher, head of assistant animators, was the voice of Princess Daphne. The narrator was Michael Rye, and the musical score was created by Christopher Stone. 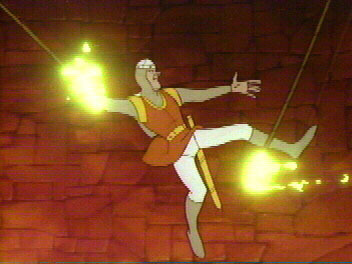 Dragon's Lair was a hit from the start. With over 30 million dollars in sales in the first 40 days, and grossing more than 32 million dollars in the first eight months in the arcades, it seemed unstoppable. 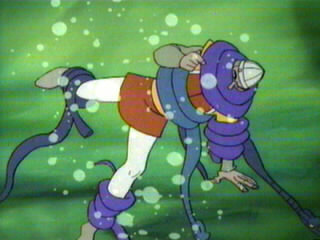 A line of merchandise was issued featuring Dirk and Daphne, and the Marvel Studio produced a Saturday-morning TV-show based on the game. The TV show, produced by Ruby Spears, debuted in the fall of 1984 on ABC and lasted only 1 season. 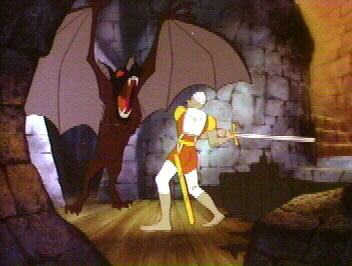 There was also a Dragon's Lair feature film that was planned, storyboarded, and written in 1984, but never yet put into production. 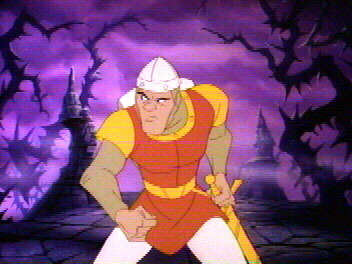 The film was to be called Dragon's Lair: The Legend, exploring the background of Dirk & how he meets Daphne, as a darker, more developed story.  Dragon's Lair Walkthru & Scoring Chart - The Ultimate Dragon's Lair Move & Score List. 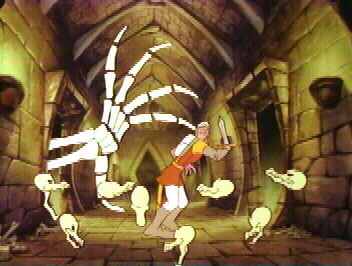 Dragon's Lair Scene Sequencing - Info on the random order of the scenes. 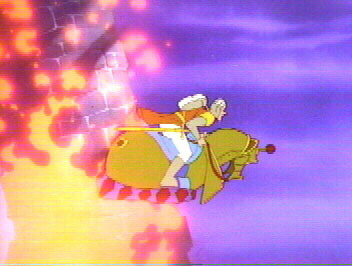 Dragon's Lair Prototype - See how it started, including the lost footage!!! 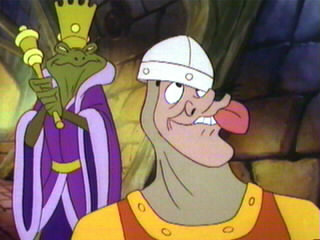 The Creators - Pictures and info of the men who created Dragon's Lair. 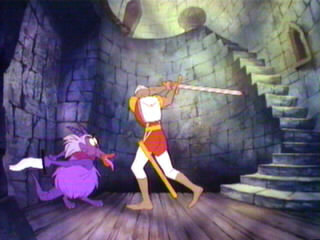 Ruby Spears Cartoons - The Saturday morning TV adaptation of Dragon's Lair. 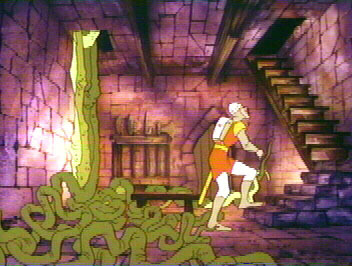 Dragon's Lair Movie - Storyboards of the original idea for the movie. 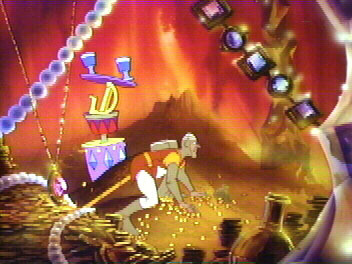 Laserdisc Legend - A Dragon's Lair article written by Jim Bickmann. 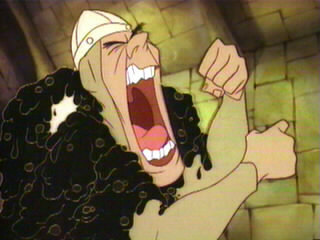 Dragon's Lair 3D - Released for PC, Xbox, PlayStation2, and Game Cube. 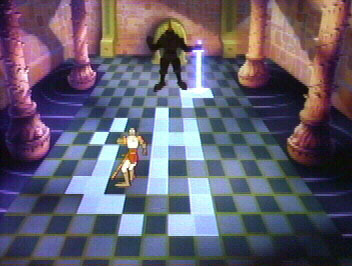 How many people have played the arcade version of Dragon's Lair over the years?